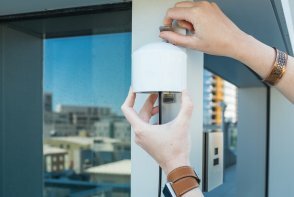 An air quality monitoring network built on a new generation of "Internet of Things" sensors. A proven air quality monitoring solution for home enthusiasts and air quality professionals alike. Using a new generation of laser particle counters to provide real time measurement of (amongst other data), PM1.0, PM2.5 and PM10. PurpleAir sensors are easy to install, requiring a power outlet and WiFi. They use WiFi to report in real time to the PurpleAir Map. Visit mylocation.purpleair.com - or - goto a location by using the format "some_location.purpleair.com" where "some_location" is a place name with underscores instead of spaces - for example salt_lake.purpleair.com.